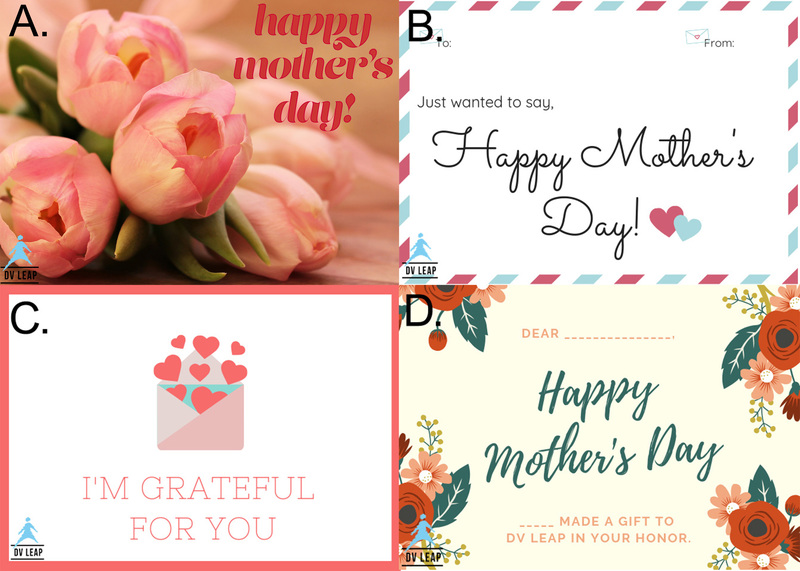 Send a personalized Mother's Day card to the special women in your life! 1 in 3 women have experienced violence in their lifetime. Given this prevalence, abuse has likely touched the lives of people you know. When you donate to DV LEAP this Mother's Day, you provide survivors of domestic violence with access to justice and safety. For every $50 you give, DV LEAP will send a paper or electronic note to your honorees. * Make a donation by clicking here. * Donation must be made by May 3rd for the card to be received on time. * Follow directions on the donation page and enter your contact info. * Donation must be made by May 10th, for the card to be received on time. Latest Appeals Case Update: Thank you, Crowell! Justice was served last week in the Maryland Court of Appeals for a DV LEAP client and her children who suffered severe abuse at the hands of the husband/father.